Jenn has been a licensed hairstylist and with Hairmates since 2005. She is certified in Hairtalk/Hotheads Extensions, DevaCurl, Perfectress USA, Brazilian Blowout, Simply Smooth, KMS cutting, Wella & Goldwell USA. She enjoys all aspects behind the chair. Jenn especially enjoys teaching her clients the art and chemistry behind hairdressing. 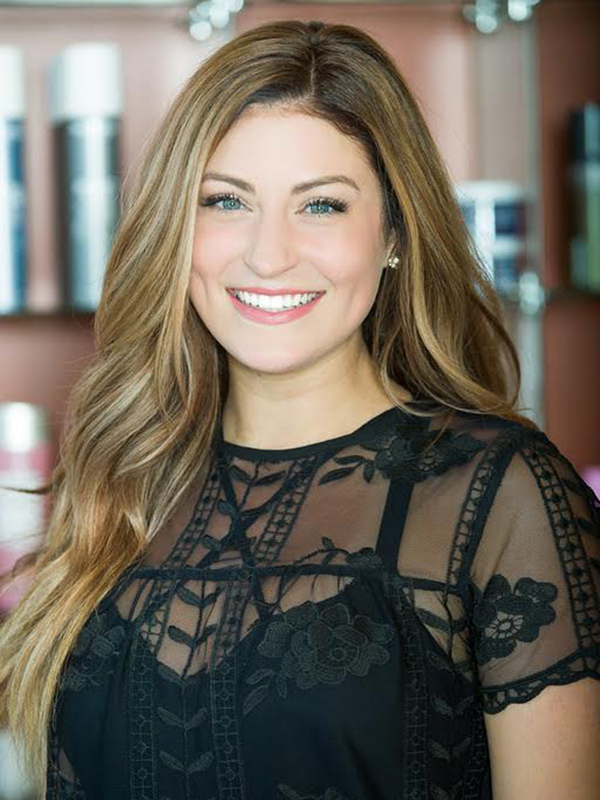 “When someone can understand and recreate a style at home, I feel as I have done my job.” Her specialties include Hair Extensions, updos, and blondes. She enjoys seeing her clients happy and allowing them to feel their best. Her favorite product list is quite long to accommodate all different types of hair but the top few include Olaplex and Goldwell Kerasilk Reconstruct. An extra with Jenn is that she has a stunning head of hair that she changes the style and color of on a regular basis. Her elegant, beautiful, and imaginative styles are a favorite attraction for many to see and recreate.